March 19 is Walter (Norman) Haworth’s birthday. 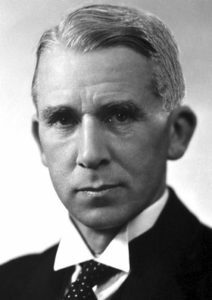 Haworth was a British chemist who was awarded half the 1937 Nobel Prize in Chemistry for his contributions to carbohydrate chemistry and the synthesis of ascorbic acid, also known as vitamin C.
Prior to Haworth’s work, many chemists believed sugars were linear chains of carbon atoms. Haworth was the first to recognize sugar carbon atoms are linked into rings along with an oxygen atom. He also found structures for disaccharides like lactose and maltose and followed up with more general polysaccharides such as insulin, cellulose, and glycogen. While investigating these structures, he noticed the structure of ascorbic acid (vitamin C) was similar to the simple sugar structure. This led him and Edmund Hirst to discover a process to synthesize the vitamin artificially. Haworth’s process was the first time a vitamin was artificially synthesized and made it possible to inexpensively mass-produce. Haworth projection of vitamin C.
Haworth also introduced a method to draw 3-D chemical structures known as the Haworth projection that is still used today in organic and biochemistry. Haworth projections show the arrangement of atoms relative to the plane of the central ring. Thicker lines on the bond show the part of the ring closest to the observer. Groups and atoms above and below the ring show stereochemistry. The groups above the plane of the ring correspond to the L or levorotatory orientation. The vitamin C Haworth projection to the right shows the furan ring (four carbons and an oxygen) with the oxygen molecule furthest from the viewer. 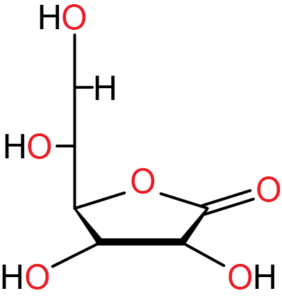 The branching oxygen and two hydroxyl groups lie in the ring’s plane. 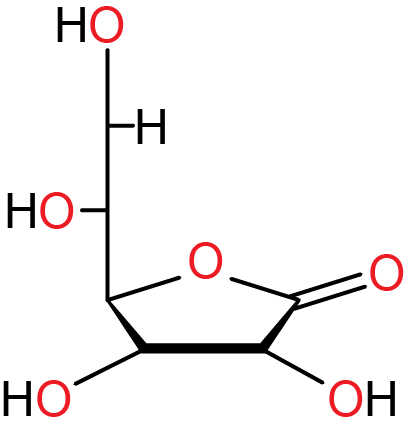 Above the plane is a carbon chain indicating this is L-ascorbic acid. March 19 is not only Norman Haworth’s birthday. It was also his final day. He passed away on his 67th birthday from a heart attack. 1987 – Louis-Victor de Broglie died. Discover of the wave properties of the electron. 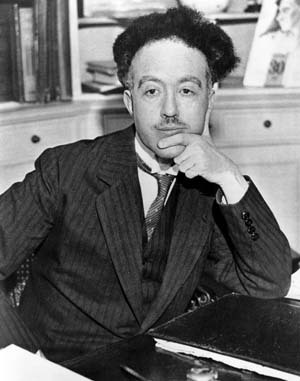 de Broglie was a French physicist who made one of the primary discoveries that led to quantum mechanics. de Broglie studied the works of Einstein and Max Planck who showed light could have properties of either a wave or a particle. He hypothesized the same should be true for matter. Matter should have wave-like properties as well as its obvious physical properties, For his doctoral thesis, he came up with a mathematical description of the wavelength of a moving electron. The wavelength of a particle should be inversely proportional to the particle’s momentum. This would become known as the wave-particle duality or the de Broglie hypothesis. de Broglie’s theory would be confirmed by Davisson and Germer in 1927 when they measured the Bragg scattering of electrons beamed into a crystal. The electrons were scattered in the exact same way x-rays were scattered. Using the formulas for diffraction of x-rays, they were able to calculate the wavelength of an electron. They also discovered this wavelength was dependent on the momentum of the electron. This verification would help earn de Broglie the 1927 Nobel Prize in Physics for the discovery of the wave nature of electrons. From this discovery, men like Erwin Schrödinger would refine and expand the work to introduce the new branch of physics, quantum mechanics. de Broglie would continue to work on his wave theories and introduce more theories into the new science. 1950 – Norman Haworth died. 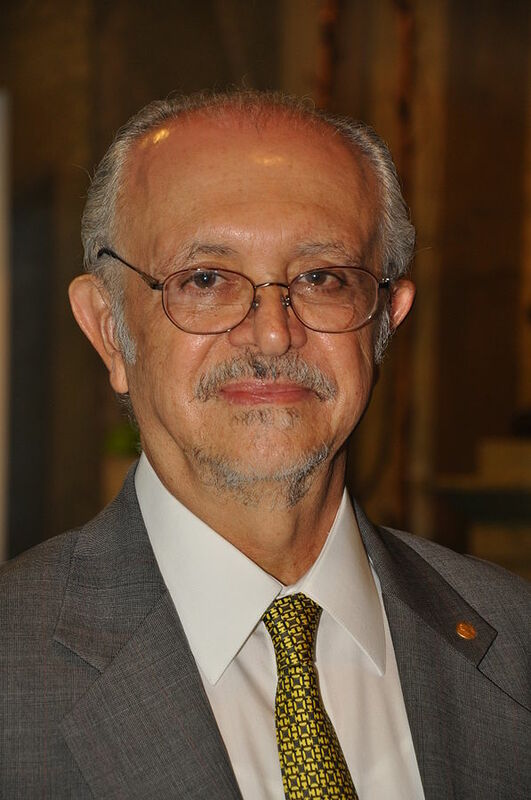 1943 – Mario Molina was born. Molina is a Mexican-American chemist who shares the 1995 Nobel Prize in Chemistry with Paul Jozef Crutzen and F. Sherwood Rowland for their research on the ozone layer. Maria and Rowland discovered that man-made chlorofluorocarbons (CFCs) were a major contributor to the destruction of ozone in the atmosphere. Crutzen’s contribution was the discovery that nitrogen oxide contributes to the depletion of the ozone layer. Their discoveries led to the banning of CFCs in general use. 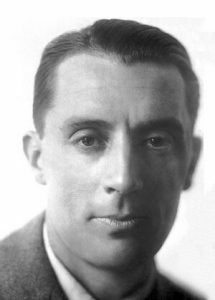 1900 – Frédéric Joliot-Curie was born. Joliot-Curie was a French physicist who shares the 1935 Nobel Prize in Chemistry with his wife, Irene for the synthesis of artificial isotopes. They exposed different elements to alpha radiation and found new isotopes of other elements that were normally not radioactive. 1883 – Norman Haworth was born.